I feel privileged to be making wine from some of the very finest and most consistent vineyards in our area. 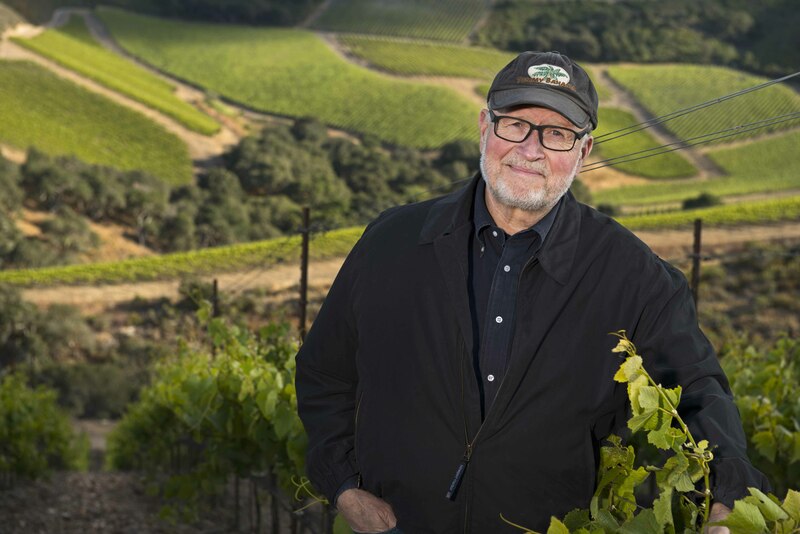 (Byron) Kent Brown, aka “Ken Brown” is recognized as one of the Central Coasts founding fathers of wine making and a key innovator in the wine industry in Santa Barbara County. The well-respected native from Sacramento is considered one of the leading pioneers of California wine making. In 1966 Ken graduated with a degree in business and went on to a lucrative career at IBM as well as in real estate development. Ken was eventually lured away by his unending passion for all things wine and by 1974 Ken enrolled in the graduate enology program at California State University at Fresno and unlike most other students at the time Ken studied both viticulture and enology. Ken’s passion showed through on everything he put his heart into and soon there was talk about this new wine phenom! In 1977 Zaca Mesa Winery recognized the distinct opportunity of Ken’s natural merits and Ken Brown’s commercial winemaking career was launched! The wines produced became an immediate success and production grew rapidly as did Ken’s recognition as a maverick in the Central Coast wine industry! Then in 1984 “Byron” Kent Brown ventured out with partners and his wife Deborah and founded Byron Winery which he cultivated in the same zeal and passion as he made his wines. Soon Byron Winery was all the buzz with great awards, recognition and accolades. Not long thereafter the likes of Robert Mondavi (Family Wines) came in hot pursuit of catching a rising star and they eventually struck a deal with Ken to purchase Byron Winery in 1990. Over the course of the next 14 years the Mondavi’s were so enamored by Ken’s innate abilities as a gifted and talented winemaker and an astute business entrepreneur that Ken went on to collaborate with the Mondavi family for more than a decade to grow their family wine business into the empire it has become today! And in 2003 with the blessings of the Mondavi family Ken refocused his attention on the Central Coasts Santa Ynez Valley and set out to launch his next promising venture, Ken Brown Wines. And in 2005 Ken released his first of many award winning vintages! In 2007 it just so happened that PEGASUS Estate Winery was established just down the road from Ken and Deborah Brown’s residence. At Peg’s unrelenting persistence over a period of a couple of years Ken hesitantly paid a visit to the PEGASUS Vineyard. Much to his amazement Ken found that the vineyard was everything that Peg had told him it would be and more! Ken immediately realized that the PEGASUS team was as passionate about wine as he was and the rest is history. “It was the huge stroke of good luck and great fortune that we have this incredibly innovative industry leader and highly acclaimed wine making pioneer to help us create and launch a luxury wine experience. We are speechless and grateful each and every day to be associated with such an astonishingly passionate, talented, gifted and renowned wine maker such as Ken Brown” Peg Crowley gleefully exclaims!